We take a look at the DAB radio service, and how plans are afoot to get the UK listening to digital radio instead of FM and AM. DAB stands for "Digital Audio Broadcasting". It offers a larger number of radio stations than you’ll be able to find on FM, and for those stations broadcasting on AM, better quality. 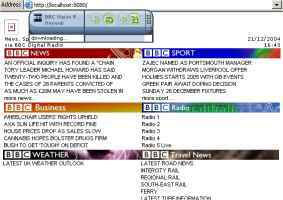 When DAB launched in the UK, DAB promised less interference and more functionality than traditional FM and AM radio receivers. For many though, DAB has not lived up to expectations, with many reporting poor coverage and audio quality. This page includes information on DAB in the UK, a summary of what’s on offer, and advice on digital radio. We also look at the range of DAB receivers and answer some common questions on digital radio in the UK. More choice – A range of extra digital radio channels not available on FM, including BBC Radio 4 Extra, BBC 5 Live, BBC 6 Music, talkSPORT, Planet Rock, Absolute Radio and Premier Radio. Digital quality – Signals that are less prone to interference and hiss than FM. Improved station selection – Tune in to a station by station name or format, not frequency. Extra features – Most DAB radios support scrolling radio text, but some have extras like MP3 playback and the ability to pause or rewind live radio. The available radio stations are divided up into National and Regional ‘multiplexes‘ (collections of stations, also referred to as ensembles), and what you’ll receive depends on which region you live in. In addition to these stations, many local and regional radio stations are available on DAB. Some of these you’ve probably heard of, such as Kiss FM & Capital FM, and some may not have heard of. A number of extra services from the BBC are available, and added to this are local commercial and BBC stations (there are about 20 stations for London, including LBC, Xfm, Sunrise, Storm, and Ministry of Sound), and you’ll find there’s a lot of extra channels available. For an idea of what could be available to you, see what’s available in South-East England on our Essex DAB Radio Stations page. Extra radio channels are always a good thing – and with DAB, you can listen to stations that aren’t available on FM or AM. DAB’s not perfect though, and there’s not been a serious mass takeup of digital radio yet. Signal. Although the DAB signals are less prone to interference, they’re currently weaker than FM signals, which can cause problems if you’re in a fringe reception area. Quality – DAB radio stations are "compressed", so that lots of stations can be squeezed into the available bandwidth. Because of this compression, some stations on DAB are not in as good a quality as on FM. In particular, the BBC stations are transmitted on a low bitrate to squeeze their range of stations into the available space. Formats: There’s a new format on the block, DAB+, which may eventually replace the existing DAB format in use in the UK. If you’re thinking of buying a DAB radio, consider one that supports DAB+, or can be upgraded via a software update. Cost. Fortunately, prices are now beginning to fall, and you can get a DAB radio from Currys for under £30. Until prices start to tumble, many think that it’s too expensive to replace home, portable and car radios with DAB radios. To get access to the extra radio stations that are available on DAB, you’ll need to buy a DAB radio receiver. These tend to be slightly more expensive than standard FM radios, but DAB is subscription-free, so the one-off purchase cost is all you need to worry about. There’s a wide range of DAB receivers available, including handheld, tabletop, clock radio, hi-fi, mobile phone, in-car as well as DAB radios that can be plugged into a PC. DAB radios can be bought from high street stores, but you can quite often pick up a set at a bargain price from the Internet. DAB radios are available online from: Tesco, Currys and Argos – online prices are often cheaper than buying in-store, so shop around online. 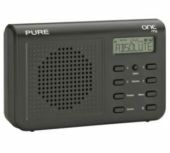 We recommend: The Pure One DAB Radio. Good sound quality, easy-to-use digital radio. Details: At less than 4cm thick, the Intempo TRS DAB digital radio is both sleek and stylish. It’s also both mains and battery powered, with a 3.5mm headphone jack, so you can enjoy one of the 10 pre-set DAB stations all to yourself. And weighing just 40g, this Intempo digital radio is great to take anywhere. Available for £39.99 from Currys. DAB radio with FM radio. Digital display and 20 station presets. Mains operated or can be powered by 6 x C batteries. Excellent Micro system with DAB, FM, CD and MP3 playback. The DMX-50 also supports pause and rewind of DAB radio and the ability to record and playback radio recorded direct onto SD card. With remote control. 40 Watts (RMS) power output. From Pure, the respected name in DAB, this is a combined DAB/FM radio with 20 presets, scrolling display with enhanced radio text features. Battery or mains powered, and a top recommendation. Available in black, white or pink. See our Pure One page for details. 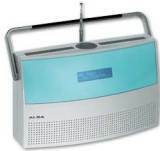 Another top radio from Pure, this one offers a wide range of stations as it has Internet radio, DAB and FM radio. Also supports podcasts, Listen Again and media streaming. The Pico and Pico+ from UK firm Revo feature DAB, FM and an iPod speaker system. Powered either via the mains or by the built-in rechargeable battery. The Pico+ supports DAB recording and rewind/pause. In 2010, we interviewed one of Revo’s director’s about the Revo range, and why you should consider getting a Revo Internet or DAB radio. See our Revo Radio Reviews page. The Revo Pico is available directly from Revo. The original DAB radio: Portable, 6 preset stations, scrolling text display, Mains lead supplied. Small handheld DAB radio, that also has FM radio, MP3 playback, and recording capabilities. One-touch DAB recording onto SD card, also supports times recordings. Built-in speaker, rechargeable battery, supports direct recording in MP3 format. It also has a stereo line-in socket (which can also accept a mic). Is DAB available in my area and what stations can I get? DAB is reportedly available to 80% of the UK. You can check on the availability of digital radio in your area with the UK Digital Radio DAB postcode checker. You may also want to take a look at the BBC reception site for some useful information on receiving DAB. What’s the difference between Digital Radio and DAB? The phrase Digital Radio causes some confusion. DAB is commonly mistaken for radios with a digital display, digital radio services such as radio stations found on satellite TV and Freeview, and Internet radio stations. Although many radio stations found in these ways can also be found on DAB, the distinction is to do with the way DAB is transmitted. It’s transmitted in a similar way to FM radio (i.e. with a transmitter over-the-air), but it uses multiplexing (combining lots of signals into one) to give you more channels than you can squeeze onto an FM radio. Also, because it’s ‘digital’, it’s less susceptible to interference, hiss, fading, atmospherics and ‘multipath’. I’m confused! Digital Radio confuses me… What’s the difference between digital radio on my TV, on the Internet, and on a DAB receiver? For the answer, see our Radio FAQ on this subject. Do I have to move from FM to DAB ? You’re probably aware that in order to free up space on the broadcast spectrum, we’re all switching to digital TV between now and the end of 2012. There are plans afoot for a similar switch-off of the FM and AM radio services, and a switchover to digital radio – possibly as early at 2015. For more on this, see The FM Switchover. How do I choose a DAB radio? Type: You need to think about where you want to use the radio – do you want a clock radio, table-top, in-car, hi-fi , portable radio or handheld? Features: Most DAB radios have the basic features: A digital display to show channel and radiotext, plus presets to store your favourite stations. You may want some extras though, such as MP3 recording, text links and images. Connectivity: Are you likely to want to record DAB? Some DAB radios are capable of recording shows onto MP3 – could this be something you want? Perhaps you want to hook up to a hi-fi, or into your PC – check whether the radio has line-level audio outputs if this is something you expect to want to do. Power: Some portable or table-top radios run off mains-only. You may want to consider a radio that can run off batteries too, if you’re planning to listen around the house. Signal: If you’re looking for a hi-fi option – you may want to consider something with an external aerial socket, especially if you’re not in a strong signal area. Also note that handheld personal DAB radios are likely to have less effective aerials than tabletop and hi-fi DAB radios. First, determine if you’re in an area that should be able to receive DAB (see above). Note that the coverage predictor can only guess at likely coverage based on your postcode – if you live in a basement, or a very built-up area, you may struggle to get reception, especially if you’re any distance away from the transmitter. Note that DAB signals are generally a little weaker than FM signals, so if you’re in an area where you can’t get FM – you have no chance with DAB. If you’re not lucky enough to be in a strong signal area, you may find that you may not be able to receive all of the channels, or you may get interference. Interference on DAB is different to the type of interference you’ll notice on FM radio. Instead of hiss and crackle, the symptoms are digital breakup (like when your mobile phone starts to cut out), or a sort of warbling, sometimes likened to being underwater. 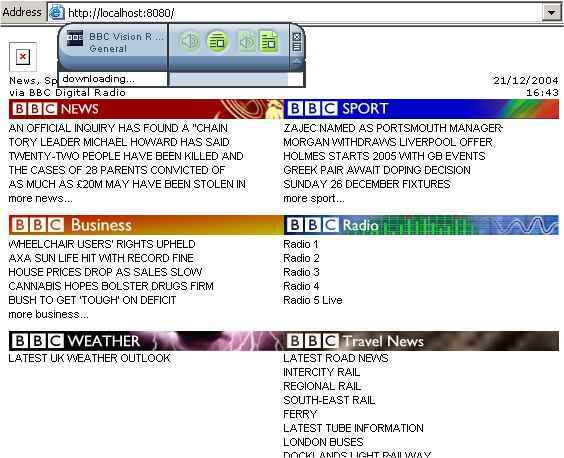 For information on ways to improve your digital radio reception, take a look at the BBC Reception site. Other tips for improving reception include: using a good external aerial, keeping your radio away from electrical interference (such as a TV, computer, etc), and for internal radios, keeping them near a window, or with the aerial pointing the direction of the transmitter, as high up, and with as few walls in the way as possible. If there’s no DAB reception in your area, you can still get a wide choice of digital radio services either via Sky TV, or on Freeview. With Freeview receivers at under £30, you can get access to all of the BBC’s national digital radio channels, plus a large selection of commercial stations too, all through your TV for a lot less than a DAB set. Most boxes have hi-fi audio out, and of course, some extra free TV channels too! To get decent DAB radio reception, it’s important to have a decent aerial. For the best reception, an external DAB aerial is recommended. We previously recommended the DAB Log Periodic 6 element aerial from Maplin , optimised for radio in the 175-230MHz range. However, at the time of writing, this is no longer available. You could consider hooking up your DAB radio to your hi-fi, a tape recorder, or to your PC. For more on recording onto PC, see our Record On Your PC section. Alternatively, consider buying a DAB radio that has the ability to record, pause or rewind live radio (much as a Sky+ box or a Freeview PVR does with TV). Examples of suitable DAB recorders: the Bug , the Revo Pico+, some of the Roberts Gemini range, the iAudio D2 pocket DAB, and the PocketDAB 2000 handheld. Some of the DAB products from Pure support ReVu (record/rewind), including the Pure DMX-50 midi system. Can I use my UK DAB receiver overseas? You’ll be unlikely to receive UK DAB radio signals overseas, due to the signal strength of DAB radio signals, however, you may be able to use the radio to pick up local signals when overseas. The UK uses Band III (Band 3), while other parts of the world use the lower-performance L Band (1452-1490MHz). Most DAB radios available to the UK support Band III only. The UK may be extended to cover L Band in the future. In 2008, OfCom awarded Qualcomm a licence to broadcast digital radio on L-Band, but we’ve heard no details of any plans that they may have. For details of which countries use Band III and L Band, see the DAB Ensembles site. Note that we’re not aware of any UK stations being transmitted overseas on DAB. Worldwide travellers may still be better off with shortwave or satellite services to receive UK stations abroad. If you have a question about coverage in a specific country, best bet is to try asking in our forum. Thanks to M Heaney for letting us know that Berlin-Brandenburg, Germany appears to be broadcasting the BBC digital radio services on the LA frequency block (L-band) in Berlin. Why is there a time lag on digital radio? One of the slightly annoying things you may notice about digital radio and TV, is that there’s a slight time delay in the digital transmissions – sometimes up to a couple of seconds. This can be a pain if you are listening to a digital service with an analogue service in another room, or you’re using the BBC pips to set your watch. We’ve added a more detailed answer to this question on our Digital Radio Time Lag Problem section. Does DAB support RDS travel news announcements? FM radio supports a service called RDS, which can be used to alter listeners to travel news information that’s being broadcast by an FM radio station. So, is a similar service supported on DAB in the UK? The answer to this one appears to be ‘no’. Although travel data over DAB appears to be in the DAB spec, this currently isn’t implemented by any of the UK broadcasters, or over the transmission network. If it’s less than one year old, contact the place that you purchased the DAB radio from – you should be able to get it repaired or replaced under the warranty. If it’s over one year old, it’s still worth contacting the place of purchase. The seller’s obligations under the Sale of Goods Act 1979 (as amended) are that the goods are as described, fit for purpose and reasonably durable. This lasts for up to 6 years. Any manufacturer’s guarantee is in addition to this right. If the shop argues, contact your local Trading Standards office for advice. You may also want to contact the Customer Services department of the radio’s manufacturer. The phone number can normally be found at the back of the radio’s manual, failing that, a Google search or a call to the firm’s Head Office will normally get you in touch with Customer Services. As repairs outside of warranty can be expensive, it may be worth considering simply buying a new radio. See our DAB Receivers page for some options. If you scan around the BBC National multiplexes, you may see references to various BBC data channels, including: BBC Vision, BBC Guide and BBC Travel. We don’t know of any useful practical applications for these just at the moment, and understand that these are test research services. Information on the BBC Travel research activities can be found on the BBC TPEG information pages). Or, leave a message on our Podline, 0208 133 4567, so we can answer it in a future podcast. ON my ‘pure’ ‘one mini’dab radio I can’t seem to tune in the stations I want.I’ve followed directions …..I have bbc radio 4 and want bbc radio 4 extra, how do I get this ? 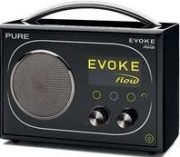 How I get Radio 4 Extra on my Pure Evoke?